Nothing signifies crispy cleanness better than the White & Blue color scheme. Thrivous Clarity knows this. Mind Lab Pro knows this. Dude, everyone knows this. And that’s a problem: It allows for certain nootropic stacks to mask their dirty shadiness with false cripy cleanness. There are only a few things in the world I can think of that are worse than this. Both of these products exude crispy cleanness. Only one of them is the real. 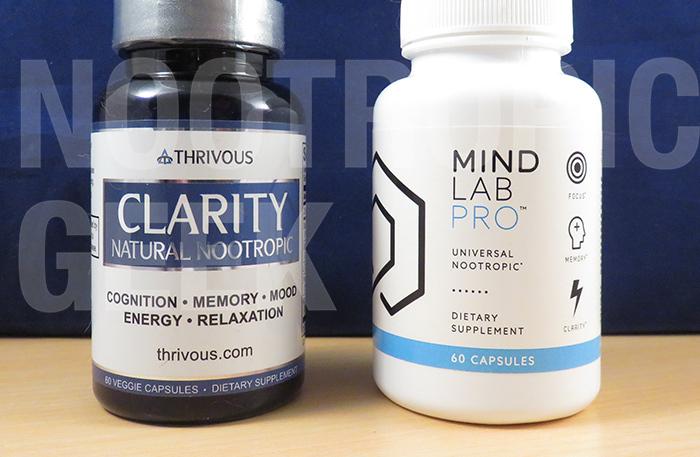 Thrivous Clarity or Mind Lab Pro: Which is better? If Thrivous Clarity can get the job done with only 5 ingredients, then hell ya. They’ve got this whole stack thing down. Unless, of course, they’re DIRTY FILTHY LIARS. Both are not effective. Ginseng leaf extract is much less bioactive than the advertised Ginseng root extract. Likewise, Rhodiola Crenulata is much cheaper & weaker than the Rhodiola Rosea listed in Thrivous Clarity’s formula. It’s one thing to screw up your Supplement Facts. It’s another to cover that screw up with another screw up. Makes me question the quality of Thrivous Clarity’s Bacopa & Ginkgo as well. Read my in-depth review on Thrivous Clarity. Rest assured: Mind Lab Pro is effective. Altogether, MLP’s ingredients cover a wide spectrum of brain pathways–Energy, Chemicals, Bloodflow, Brainwaves, Neuroprotection, Regeneration–resulting in a bar-raising synergy that I’ve yet to find in any other supplement. For a better idea on how MLP works, I recommend checking out the independent review I wrote up for the formula. Read my in-depth review on Mind Lab Pro. Bacopa Monnieri Extract. Mind Lab Pro supplies 150 mg of Bacopa std. to 45% bacosides. Thrivous Clarity supplies 300 mg of Bacopa std. to 50% bacosides. Ginkgo Biloba Extract. Backed by a wealth of research, Ginkgo is one of the oldest nootropics (hence the moniker “Living Fossil”). Enhances circulation & memory. Panax Ginseng Extract. Performance enhancer, but the benefits seem to be more physical than mental. Cognizin Citicoline. Of the choline sources, Citicoline is my preferred nootropic option for its dual supply of choline & cytidine (converts to uridine). Lion’s Mane Mushroom. Lion’s Mane has major therapeutic potential for its role in promoting nerve growth factor (NGF), an important component of neuroregeneration. Sharp-PS Phosphatidylserine. Sharp-PS supplies sunflower-derived PS, rather than the more common soy-derived stuff. For PS, sunflowers are where it’s at. Pterostilbene. Resveratrol is a popular, effective antioxidant, but Pterostilbene‘s antioxidant capacity is 4x more bioavailable. N-Acetyl-L-Tyrosine. The brain burns Tyrosine during stressful conditions. Supplementing Tyrosine (namely N-Acetyl-L-Tyrosine) reduces negative stress effects. Suntheanine L-Theanine. L-Theanine is a green tea amino that promotes alpha brainwave states, which are associated with feelings of relaxed focus. Rhodiola Rosea Extract. Thrivous Clarity pretends to have MLP’s Rhodiola form, the performance enhancing anti-fatigue Rhodiola Rosea. Taking into account Thrivous Clarity’s screw-up “clarification” (if we want to call it that), it’s formula isn’t all that bad in terms of Potency & Quality. 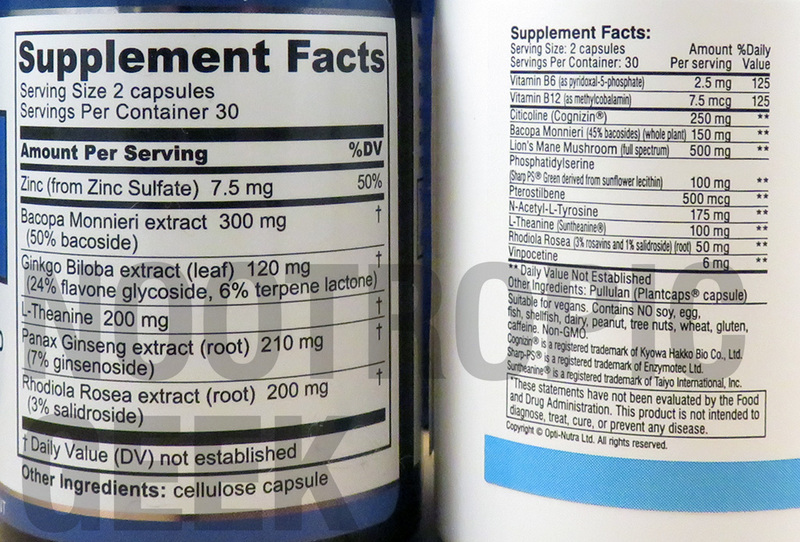 Aside from Ginseng & Rhodiola, Thrivous Clarity still has: Bacopa extract (std. to 50% bacosides) & Ginkgo Biloba (24% flavone glycosides, 6% terpene lactones). 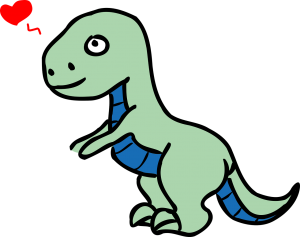 Ginkgo dates back to the dinosaur days, but Thrivous’ extract is new. And the Bacopa is even more potent than Mind Lab Pro’s Bacopa, and twice the dosage, too. But I’m not the Bacopa Geek, dammit. 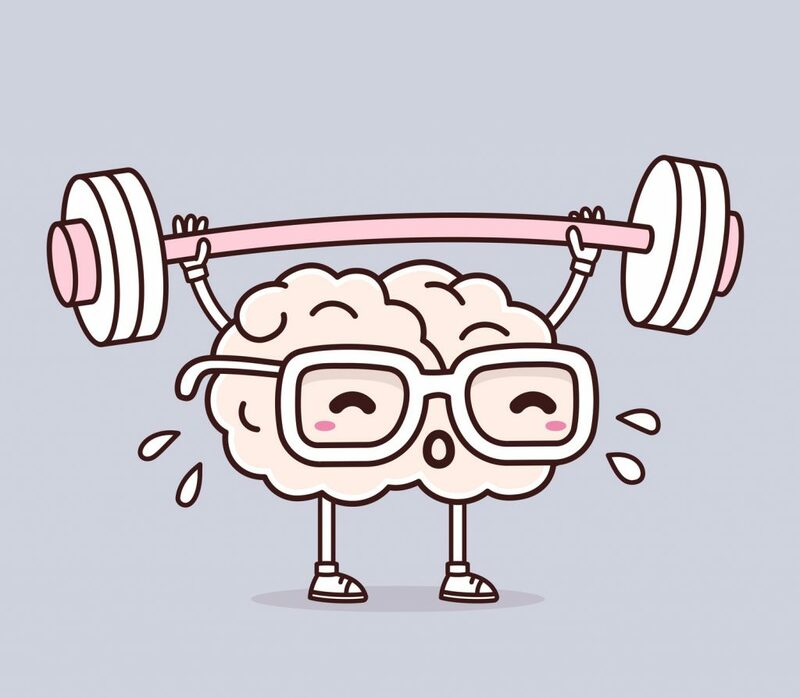 I’m the Nootropic Geek–I cover all nootropics. Which is something that Mind Lab Pro and I have in common. Technically, Mind Lab Pro doesn’t cover all nootropics, but all of the nootropics in its formula are covered, supplied in highly bio-active forms & extracts. There isn’t one ingredient this formula that I can honestly say requires massive (or even mild) improvement. Plus Mind Lab Pro honestly tells us what’s in its formula. I shouldn’t really have to say more than that. Thrivous Clarity has better Bacopa & Ginkgo. That’s the one thing that I can kind of confidently state (under the assumption that Thrivous Clarity is being honest about its Bacopa). If you’re looking for a high quality source of Bacopa & Ginkgo, then Thrivous Clarity is potentially the formula you’ve been looking for. Mind Lab Pro has better everything else. Aside from claiming 100% Brain Power, Mind Lab Pro also calls itself the “Universal Nootropic,” and with good reason: By supplying a diverse range of quality nootropics at adequate dosages, Mind Lab Pro covers a wide spectrum of brain biopathways. Low energy? MLP’s got it covered. Low circulation? MLP has that, too. It’s a synergetic masterpiece fit for customers of all ages & vocations. Had I not caught on to Thrivous Clarity’s correction, I’d be singing its praise throughout these reviews. On paper, it sells an impressive, simple, high quality nootropic formula. Yet, even in this fantasy scenario, Mind Lab Pro would still be the better product. MLP is just that good. From its formula to its clean label, there’s a lot to like.